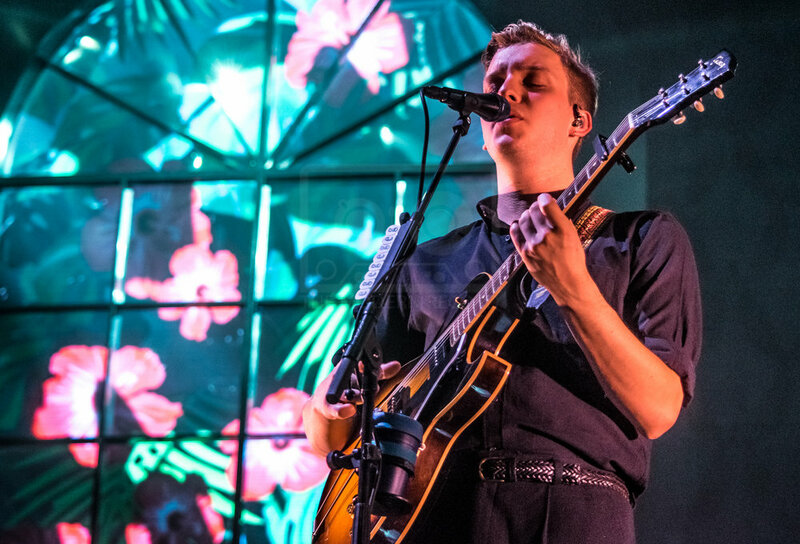 George Ezra brings his extensive tour back to Glasgow but to the massive Hydro, and takes the roof off the place! Support on this part of the tour is from Norwegian Sigrid Solbakk Raabe. 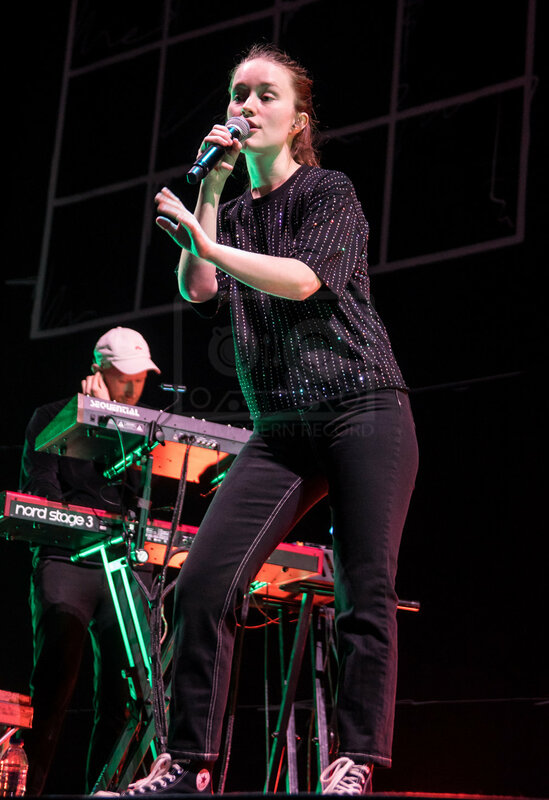 Sigrid rose to fame with the release of her debut EP Don't Kill My Vibe in 2018 and hit number 10 in the UK chart with her single Strangers. Tasked with the job of warming up the crowd for the main act, she bounced onto the stage to Sucker Punch, the title track from her debut album. With other tracks such as High Five, Dont Kill My Vibe and Dont Feel Like Crying, she entertained the ever expanding crowd throughout her 40 minute set, and finished with her single Strangers. Warmly received by the Glasgow audience, but they were only more desperate for the start turn to take over. 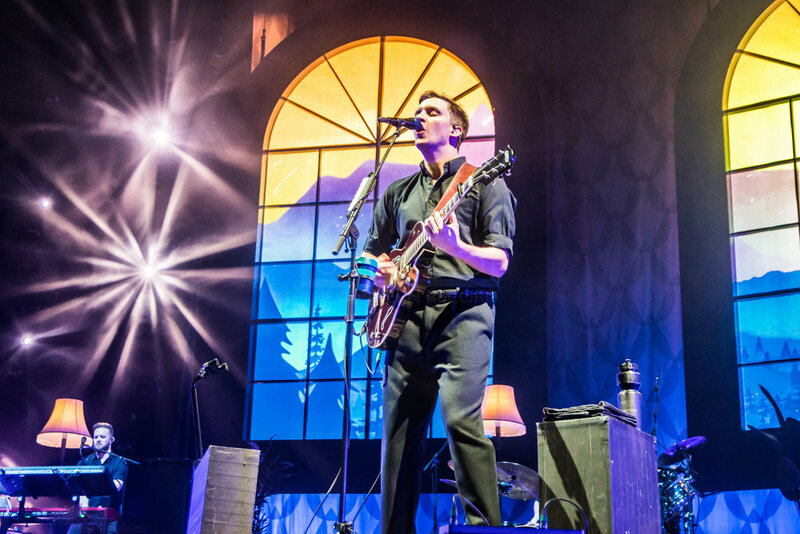 Dont Look back In Anger, the Oasis classic belted out over the PA as the lights dimmed for Ezra’s imminent arrival, and the large screens displayed an alarm clock ticking down until it was time for the man to do his stuff. Dont Matter Now started amidts the screams and cheers from his adoring Scottish fans, before Get Away and Barcelona made them putty in his hands! 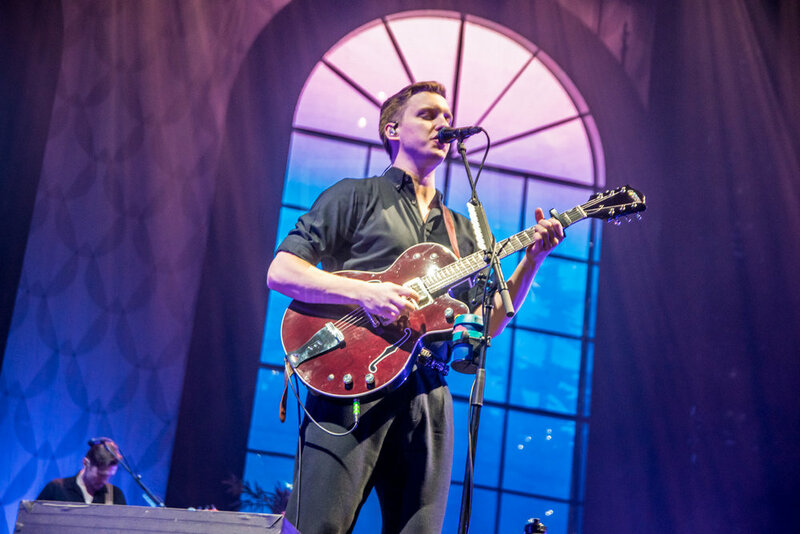 Mixing the setlist with tracks from old and new albums, Ezra kept the crowd going, wether is was a slower ballad or jump about daft to hits like Paradise, the stories between the songs provided an insight to his music and his approach to the job. The Glasgow audience made up of mainly females, unsurprisingly were loving every second, and the music kept coming. 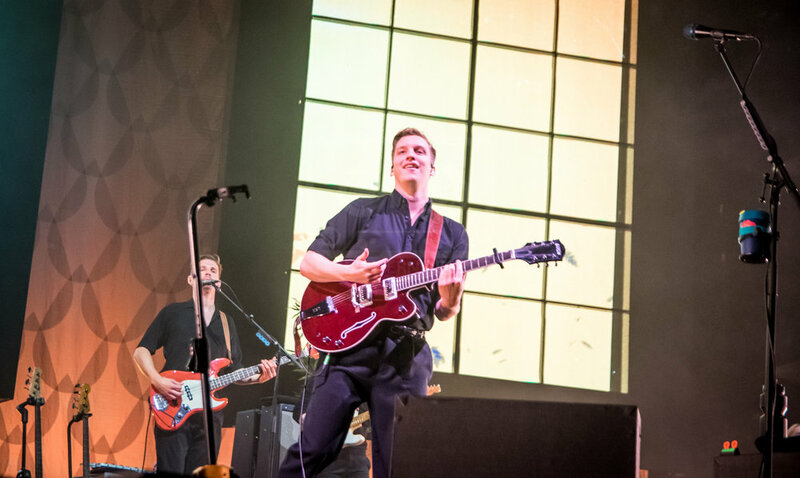 Song 6, Hold My Girl, Leaving It Up To You, Sugarcoat, every voice in the crowd singing along word perfect and every face had a beaming smile, as did the main man on stage. 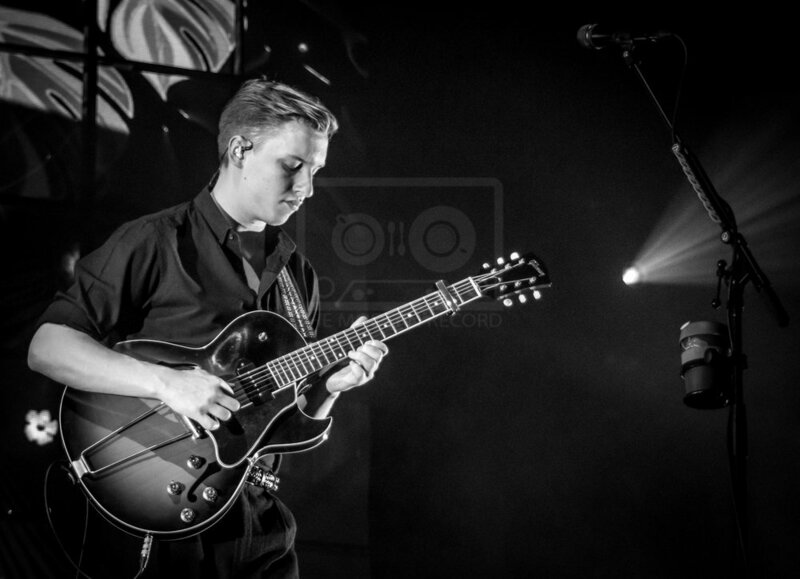 Ezra in fine form this evening and the eyes of his fans he could do no wrong. All My Love, Blame It On Me and Budapest closed the first part of the show before George and his band returned to the 50’s living room decorated stage for the 2 song encore of Cassy’o and top tune Shotgun, which nearly brought the house down. 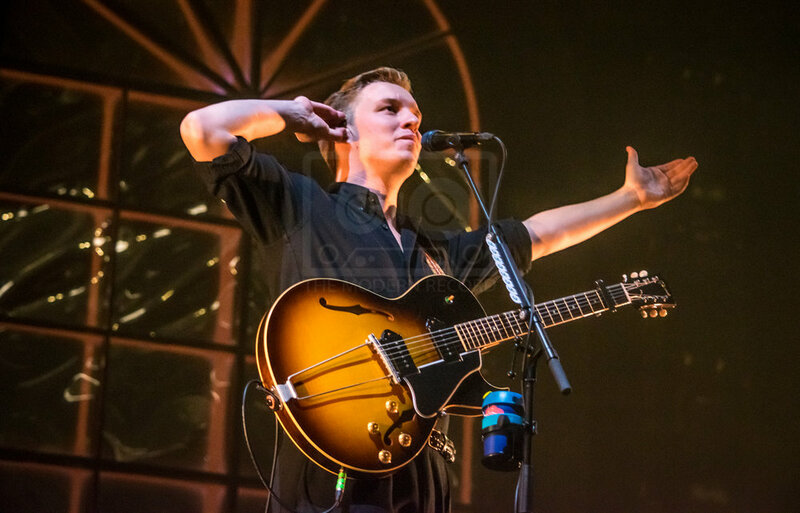 Ezra left the stage to a rapturous applause, his fans could easily have taken another hour or two of the same, but alas the night was over and way past many of the crowds bedtime. A night of fine pop music, an adoring crowd of all ages, a singer at the top of his game and this all makes up for a great Friday night out. 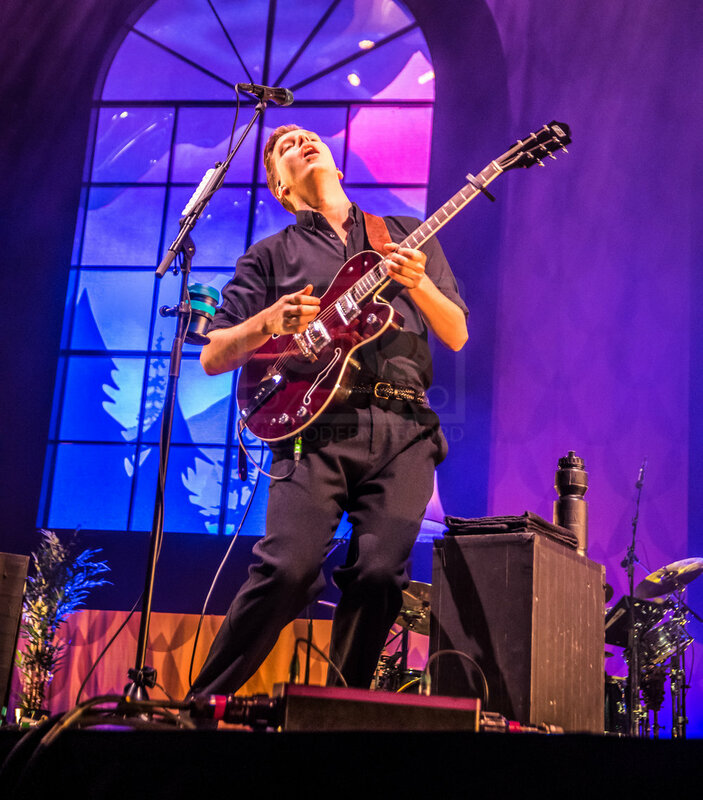 George Ezra is the man of the moment, catch him live if you can.